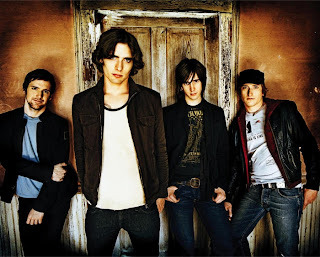 Earlier in the week I reviewed THe All American Rejects new album “When the World Comes Down,” and I said that it was similar to their last album in that the singles would most likely be solid, but overall it dosen’t do it for me (as an album). Upon further review, my opinion has not changed in the least except for this song. For some reason this seemingly simple song has taken over my head. It is extremely catchy and has the ability to get stuck in your head for hours. There’s something that is really special about the song, and as I said previous it is a great way to open this album. Of course what makes it catchy are the lyrics, and the repeating chorus which simply is: “I wanna I wanna I wanna touch you and you wanna touch me too.” Like really?? These are the lyrics stuck in my head? Well yes! What can I say, catchy hooks and choruses are my weakness.